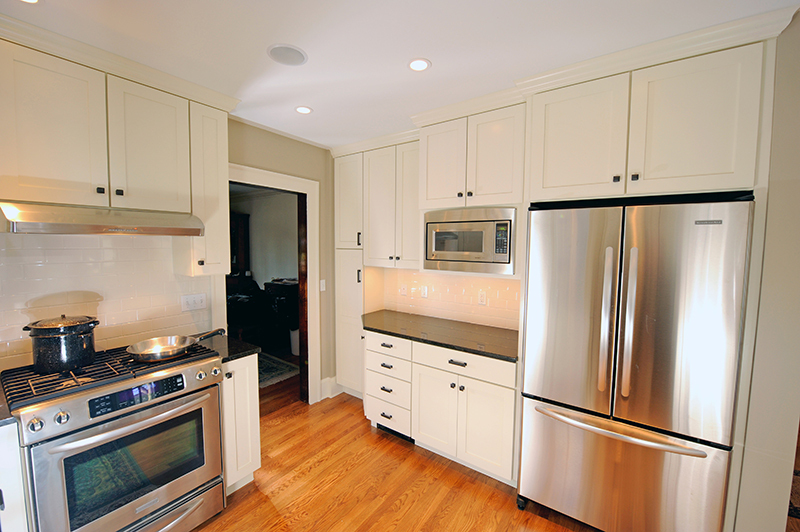 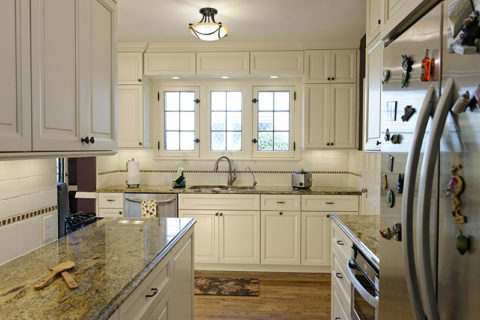 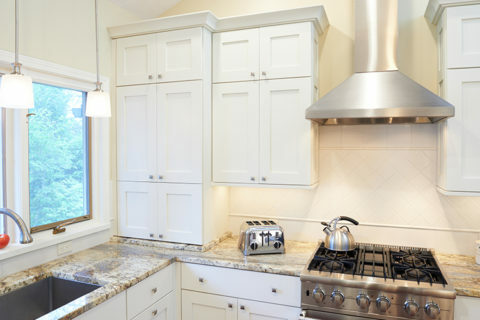 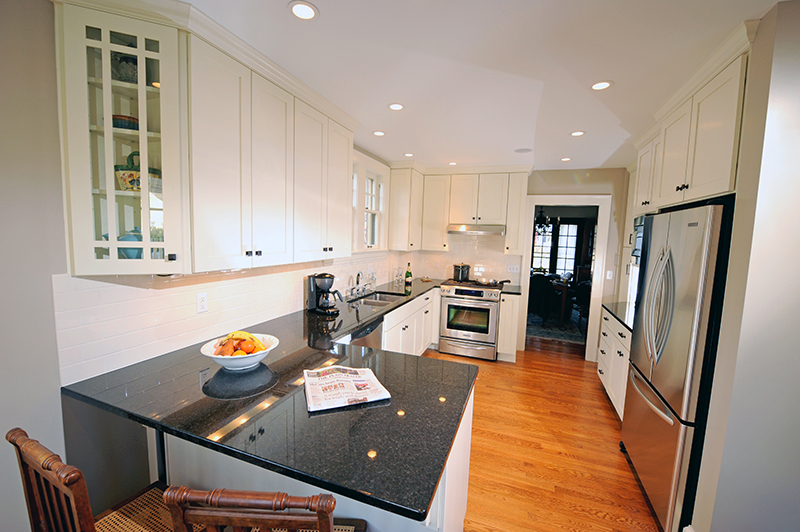 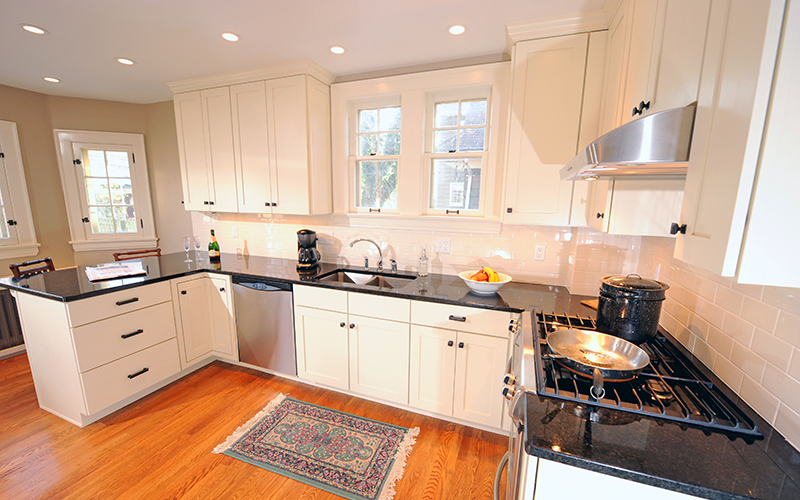 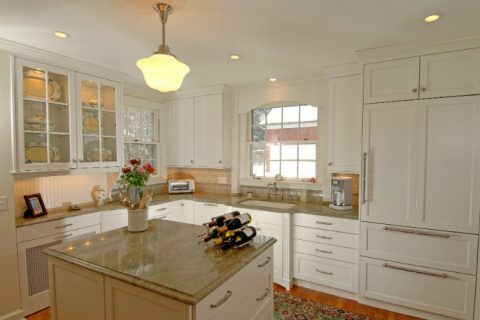 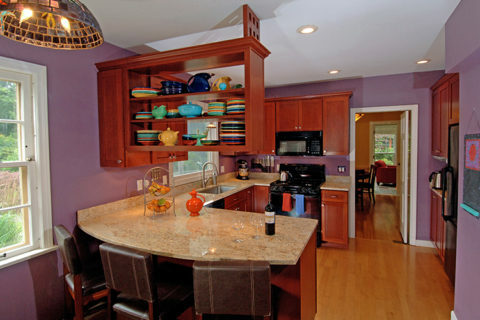 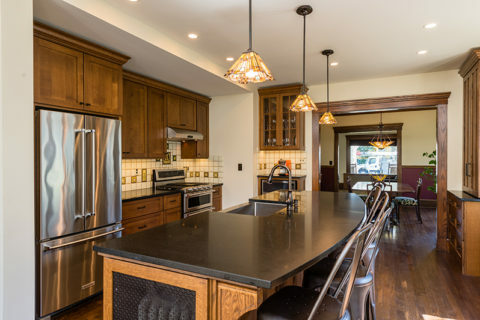 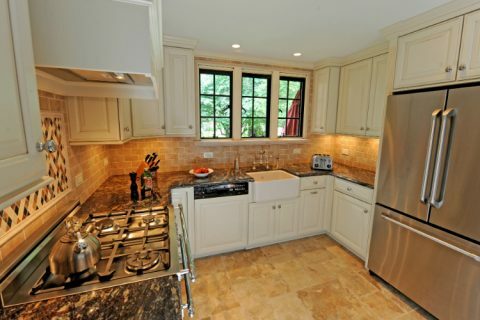 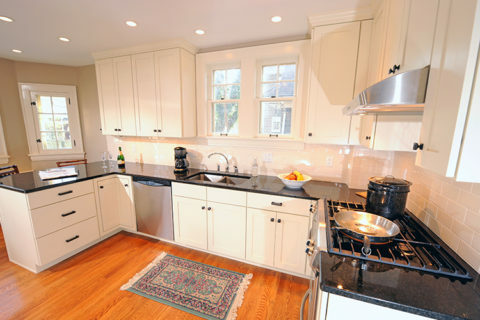 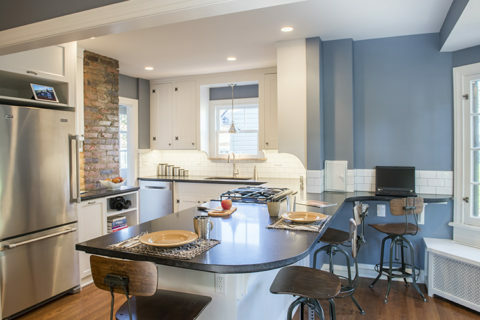 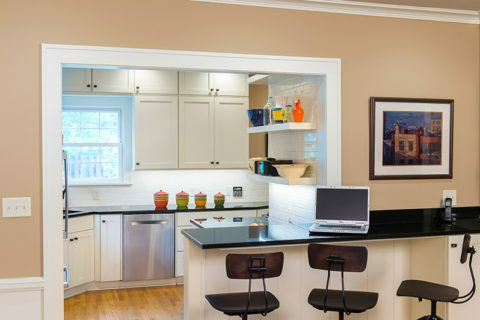 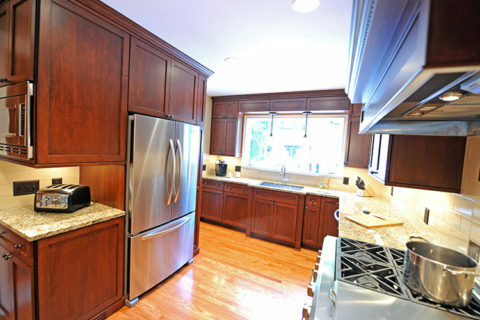 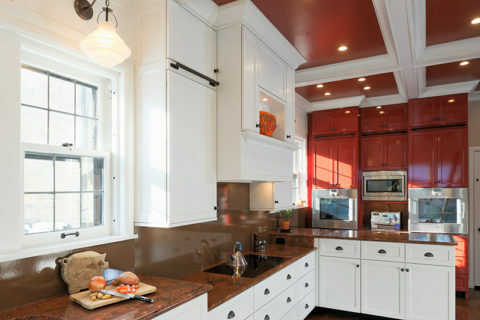 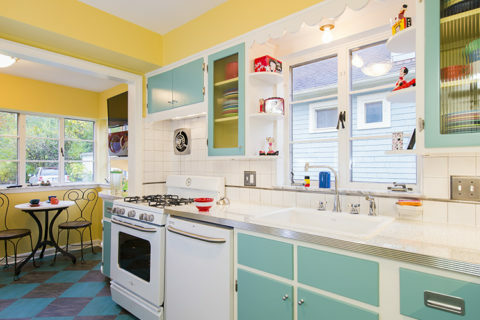 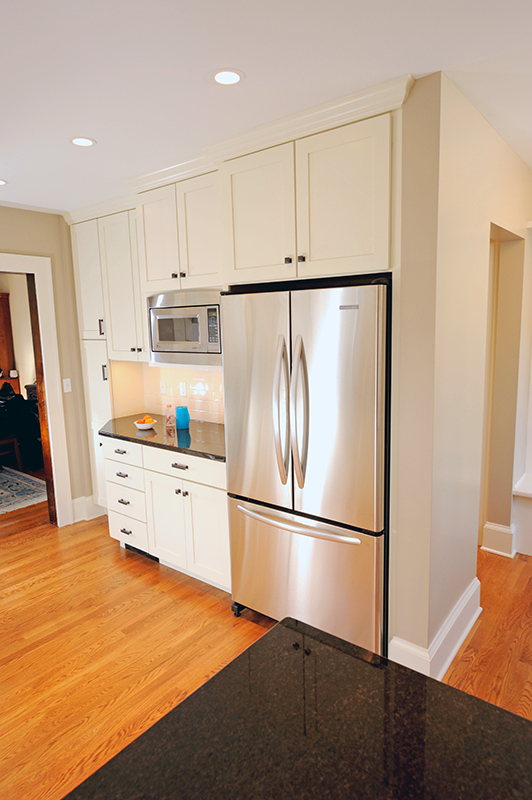 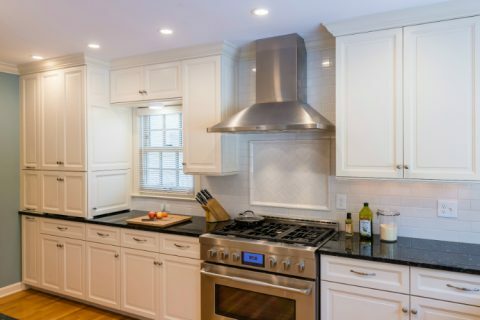 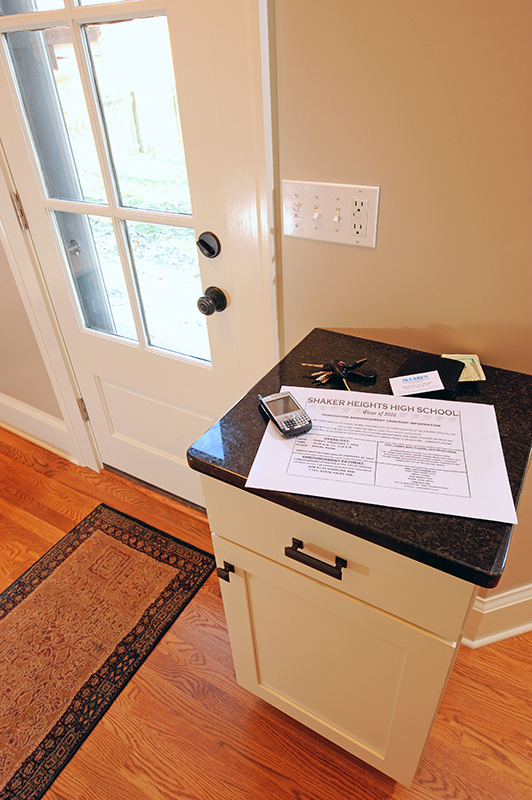 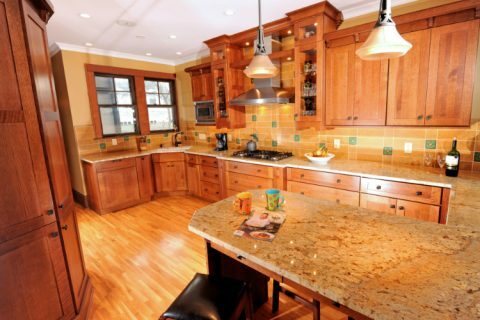 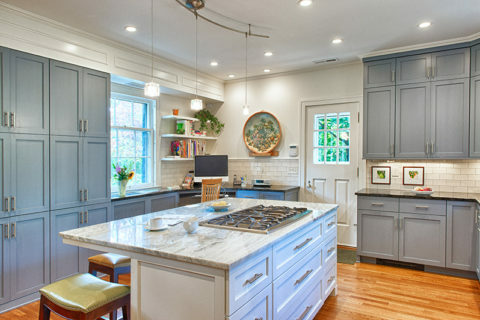 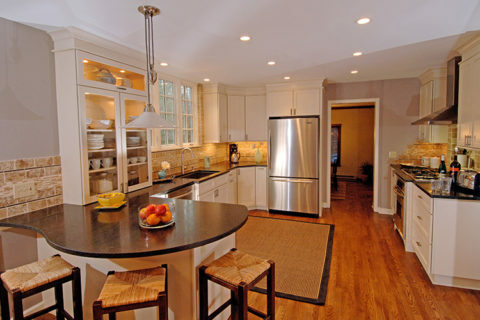 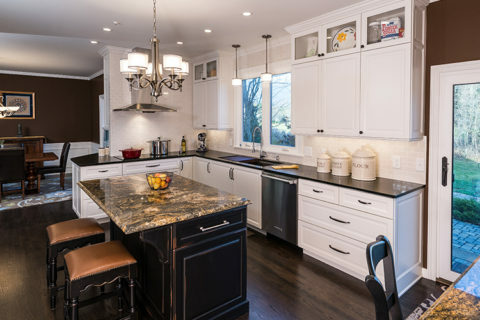 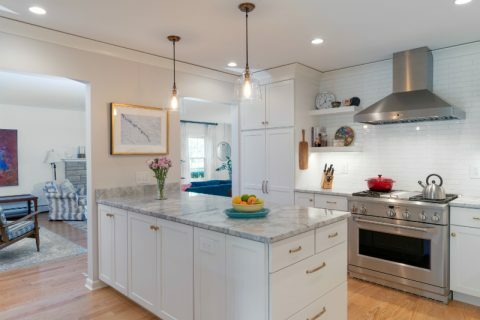 This kitchen design project in Shaker Heights, Ohio features natural stone counters, white painted cabinets, peninsula bar, white subway tile, hardwood floors, and other thoughtful space-saving touches, including cubbies for after-school storage. 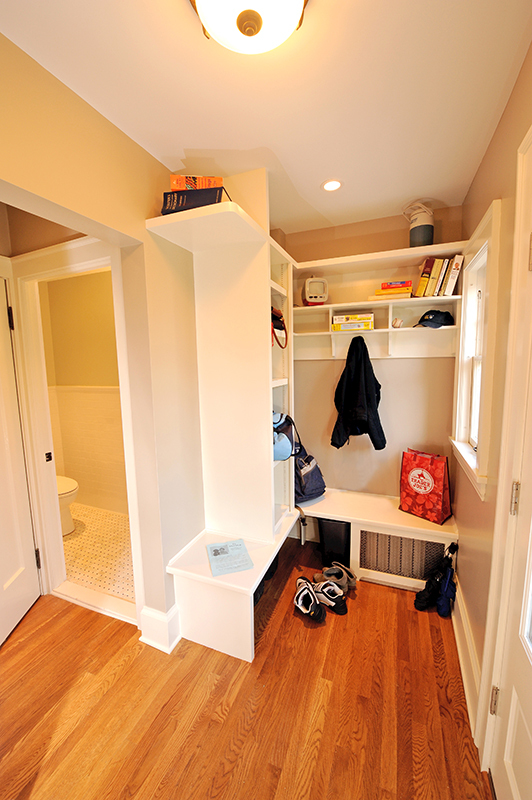 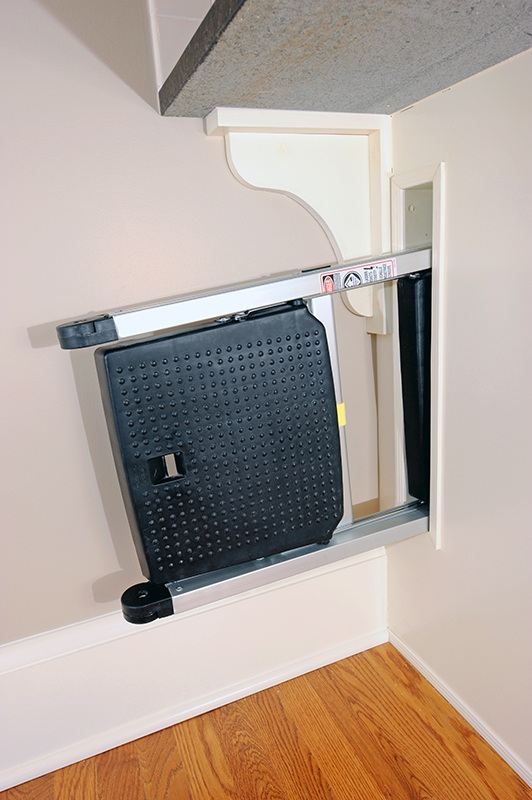 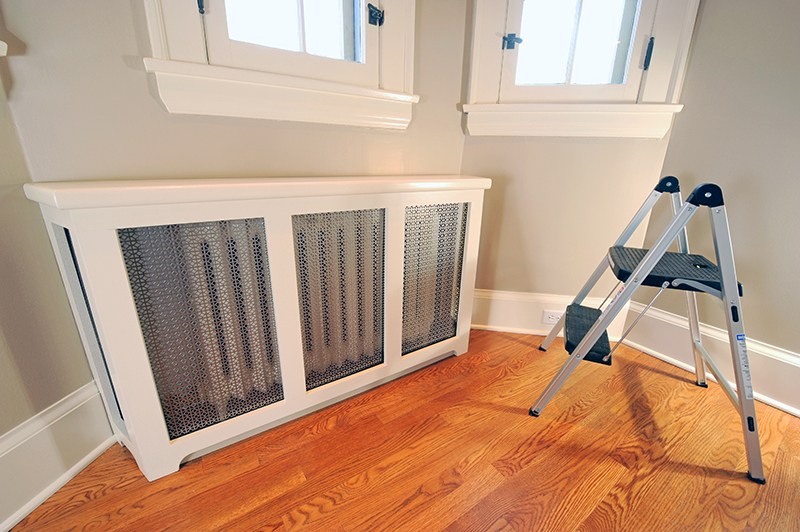 There’s even a secret spot for stowing away a step ladder! 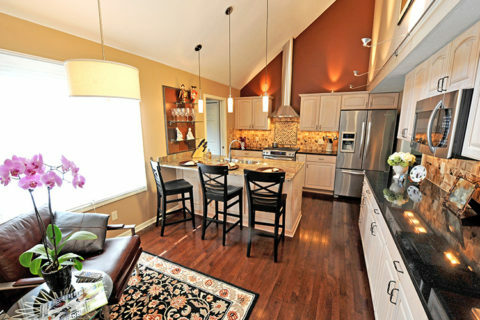 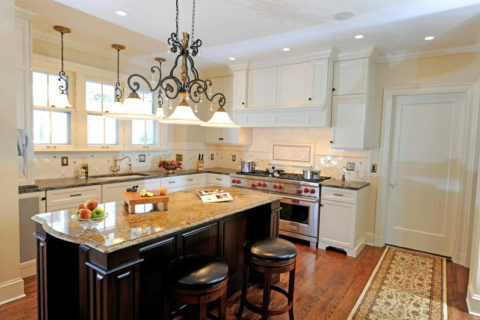 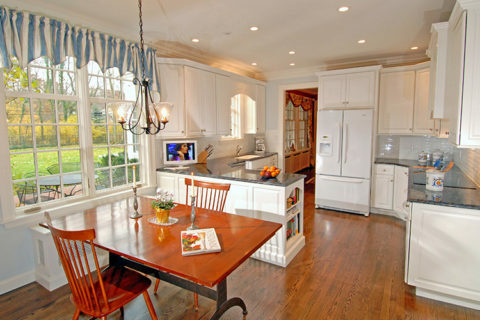 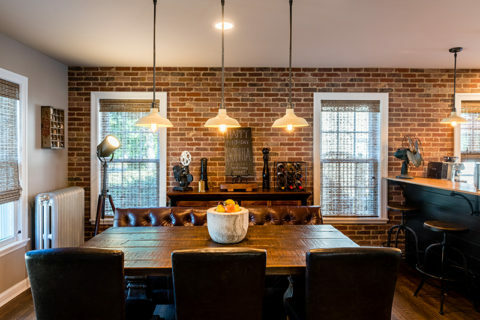 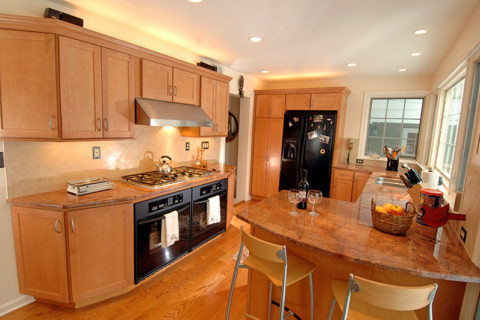 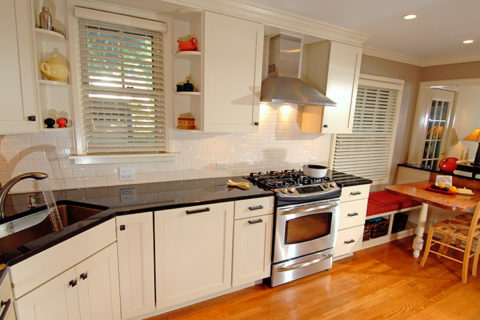 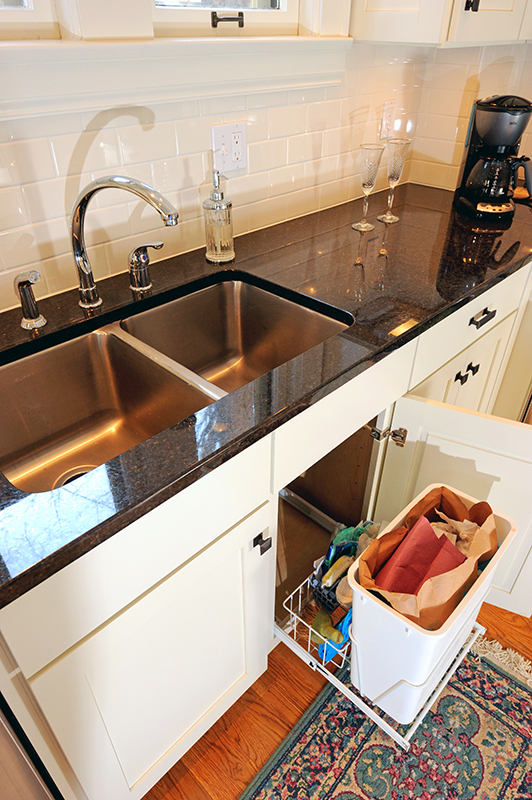 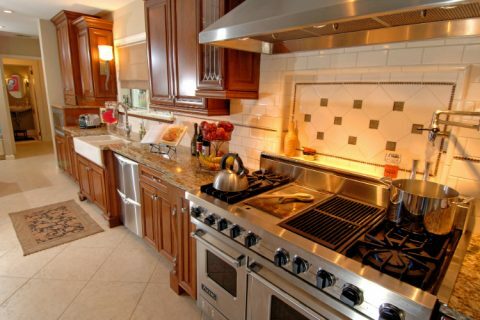 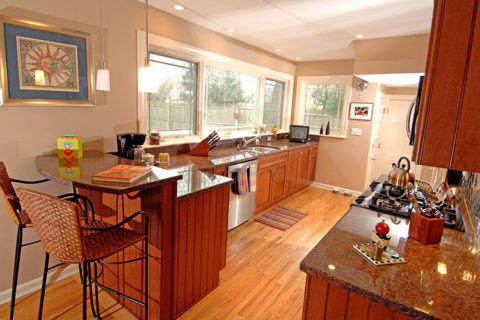 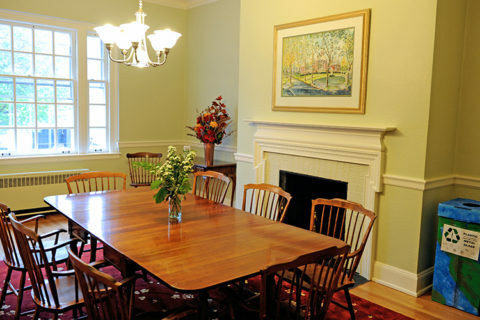 The result is a clean and spacious design that’s consistent with the home’s traditional style.